If theres one thing you must do in Cuba, its drink a mojito in Havana Vieja. The classic and infamous drink around the world was born right here, in the island of paradise. When it comes to mojitos, almost every single restaurant and bar in Old Havana (Habana Vieja) has them, but not all are the same. So where can you find the best mojito in Havana? Mojitos come in all different forms and flavors and just like any other drink, theres ways to perfect the art of crushing mint, adding lime juice and topping it off with rum. 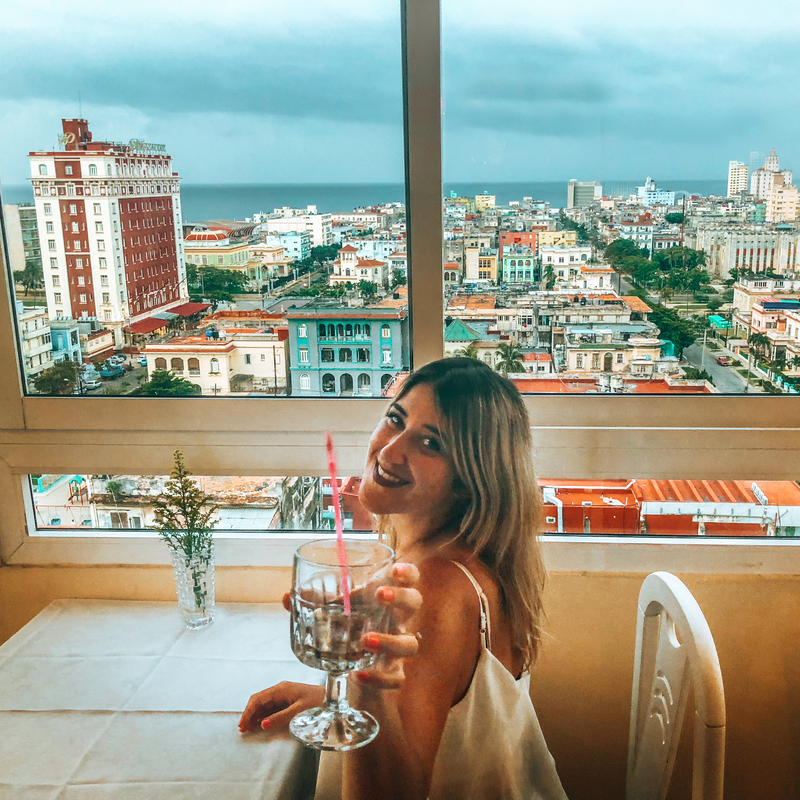 So, as any worthy travel blogger must do, I took the incredibly hard job of drinking at 5 different restaurants in Havana. I could only make it to 5 because, well, I got pretty drunk after the 5th one. #LOL But don’t worry, it didn’t effect the results. And speaking of results, some of these bars we chose to go are on our favorite lists, some are not and some are touristy famous for their mojitos. We wanted to give all different angles. So here we go! Tucked on one side of Havana Vieja is Chacon 162. Its owner, Jochi, is one of our good friends and proclaims his mojito to be the best in not just Havana but all of Cuba. He probably has a lot of confidence in that since his bartender, Pedro, has been making them for over 18 years. He’s no doubt an excellent bartender. Results: Eighteen years of experience paid off. It was an incredible mojito! It wasn’t too over powerful with the flavors and he combined the right amount of rum to both feel its impact but yet not taste it. At $4 per mojito in a big mason jar, its amazing. Next up was Mas Habana. Very close to Chacon, we decided to go in here because I liked the neon light it had in its bar. I’m a child of the 90s. Its also one of our other favorite bars and Rey its owner takes a lot of care to keep it up.. Result: Whoa! Its stronggggg! Its $4 as well, but DEFINITELY worth the value if you’re trying to feel a little buzzed in the Caribbean heat. Its also probably 2-3 mojitos in one huge glass. Of literally the hundreds of restaurants in Old Havana, we had never seen this one. Its on some touristy street, I guess thats why. Its small privately-owned restaurant you’d think otherwise from the lack of its decoration (it looks like the government tried). But, that was the appeal. 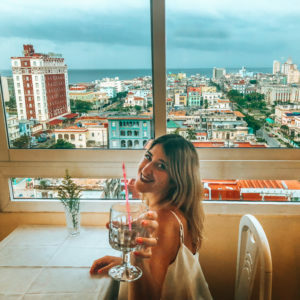 I wanted to go to a place I’ve never been, that wasn’t well known on the basic “I went to Cuba for a Week and Went to all the same places every other travel bloggers goes to” blogs. So we went. And I was surprised! Result: The mojito is actually pretty good. It wasn’t as strong as Mas Habana, but it definitely did the job!! At $3, its served in a traditional 8 oz glass so its value isn’t worth the others, but if you’re looking for one drink to enjoy, I’d recommend it! (Hint: the lobster is pretty good). Aw, the famous Bodeguita. Well known around the world and mention half a dozen time in every Lonely Planet guide, it was a no-brainer I tried this one on my hunt for the best mojito. With tourist lined up around the entire street, its pretty hard to get a mojito without screaming to the bartender. I do give it points for its ambiance. Result: Horrible. I won’t even get into the details, but I think knowing I paid $5 for an 8 oz mojito hurt even more than the drink. I’d recommend just snapping a pic, but not buying a drink. Ha, that rhymed. 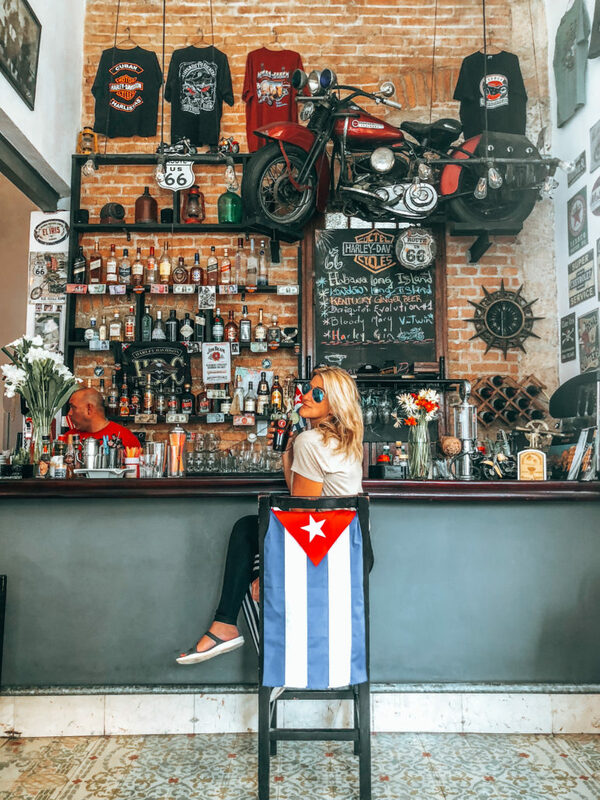 Another favorite of ours is Jibaro, Sitting outside Havana Vieja in the neighborhood of San Isridio (still inside Havana Vieja), this bar is a gem. The owners David y Diana are really good friends of ours and we absolutely love that they give back to the local community while being entrepreneurs. Not an easy task in Cuba. Result: This was definitely a different flavor mojito with more notes of lime. It you like citric based drinks, you’ll love this one. I really enjoyed it because it was a twist on the classic mojito I was drinking all day. Its also $4 and served in a big glass. It was definitely the sweetest of the 5 drinks I had. For other best places in Havana, check these recommendations out! ❤️❤️ thank you very informative, love that while reading I felt like I was right there with you! I fully intend on verifying each of these recommendations. Haha! The Mas Habana sounds like a blast, and the Jibaro one should be most interesting. The rooftop at kempinsky hotel didn’t make the list ? Azúcar neither ? Kempinsky is very expense… Azucar i have to go again!